*Opening ceremony (with MC Yuko Yasutake) will be held at 12:00 in the Garden. 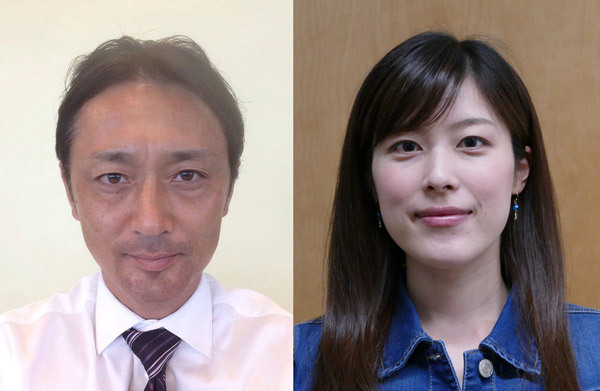 Popular local personality Tetsuro Shigematsu (actor and writer) will be back to co-MC with Yuko Yasutake on Saturday afternoon. Robbie Fukushima, our regular Sunday MC, will be pairing up with Mayu Kajiura this year. Sansho Daiko creates contemporary repertoire for the taiko, or Japanese drum. Incorporating western instruments and mask-work, they create a performance experience that transcends ethnic and cultural boundaries. Like the plant it was named after, Sansho seeks to be a spicy addition to the West Coast taiko scene. The Sakura Singers were formed in 1970, directed by Mrs. Ruth Suzuki, and was inaugurated into a Society in 2006. They promote the enjoyment of Japanese songs and better understanding and appreciation by all Canadians pertaining to Japanese Canadian culture. They have many performances throughout the year, and major concerts are held biennially. They invite anyone who loves to sing Japanese songs to join. For Nikkei Matsuri, they will be singing traditional songs to evoke memories of Japan. CosCafe is the first Maid Cafe and one of the earliest J-Pop dance groups to emerge in Vancouver. Since 2007, they have provided Vancouver events with spectacular performances! This year, their team of performers, Shooting Stars, will be sharing their love for J-Pop and Anime at Nikkei Matsuri! all people of all ages who enjoy the traditional drumming from Miyake Island, Japan. Satsuki-Kai will lead the Bon Odori dance! Beginner or professional, everyone is welcome to join. Dance with your family and friends in a big circle around the yagura. The 2016 International World Junior Taekwondo Championship will take place from Nov.16-20 at Bill Copeland Sports Centre with 10 divisions (800 athletes and their teams from over 100 countries). Tourism Burnaby celebrates the world class championship through a Taekwondo demonstration at Nikkei Matsuri. The Taekwondo team will be demonstrating a variety of techniques at Matsuri. “The Medicine Peddler” is a Kabuki play with a 3.5 minute tongue twisting spiel. This show will be modern in style, but focuses on the sounds and history of 1700s Japan. Chibi Taiko was formed in the fall of 1993 with the goal of passing the unique and dynamic performing art of taiko drumming on to the next generation of Asian Canadians. As the first children’s taiko ensemble in Canada, the group’s philosophy emphasizes cooperation, leadership, responsibility, and spirituality in addition to the physical and musical discipline needed to build a cohesive and dynamic taiko ensemble. Based on the traditional Ukranian folktale, this play has masks, carnival-sized puppets and a moral. After the performance, interact with different types of puppets and take a close look at their mechanisms and design. You will also be invited to take group photographs with the puppets and masks of your choice. Since its foundation nine years ago, this Japanese hula dance group now has 60 members. Their group name, “Wailele Waiwai,” symbolizes endless growth, like a waterfall. Ten members will be performing original Hawaiian dances as well as Polynesian dances at Nikkei Matsuri. They will express Hawaiian history and stories through their dances. The Satsuki-kai Dancing Group started in May 2011 to learn and enjoy Japanese dances in a relaxed and friendly atmosphere under the direction of dancing master Kayo Nishikawa of the Nishikawa School of classical Japanese dancing. They have already given numerous performances on variety of stages and senior homes. Please see Saturday performance description. Urayasu-no-mai is a dance choreographed with traditional music in 1940 and has since been performed at many celebratory occasions all over Japan. The words accompanying the music in poetic style is a prayer for peace in Japan. Performers wear authentic shrine maiden costumes using both fans and kagura bells. Presented alongside Urayasu-no-mai is the bugaku Soriko. Bugaku is an old Japanese dance dating from around 800 with roots in China, Korea, and Vietnam. The piece will use replicas of an ancient paper mask. It is intended to be the sake makers’ dance. Robson 800 is an All Style Street Dance group based in Vancouver. Half the members are local dancers, while the other half are visitors from all over the world, but mostly Japan. The visiting members of the group cycle through yearly, and now has over 30 members worldwide. Robson 800 always welcomes new dancers and invites them to practice and perform here in Vancouver. Enjoy our 2016 Edition of Robson 800! Vancouver Okinawa Taiko (formerly Yuaikai Ryukyu Taiko) has performed at numerous festivals and events for almost a decade. They aim to share Okinawan style drum-dancing and promote Okinawan culture. Members consist of a mix of several generations, which reflects a true presentation of grassroots folk art. MOMO and AKKO met here in Vancouver back in Spring 2011. Both were active as a street dancers, and had competed and won competitions in Japan. They soon became crewmates, roommates, and soulmates for life. AKKO now lives in Toronto, but they always inspire and support each other like real sisters. Harrison Lee is a Champion of 2015 Matsuri Star Talent Search. He’s back to perform with his championship yo-yo skills.